Tara Innovations files a patent in October 2011 for a formulation showing fast acting and long-lasting release profile. Hemant Joshi was a co-moderator of a session at the AiChE annual meeting in Minneapolis, MN on October 17, 2011. The title of the session was - "Implementation of the QbD paradigm for packaging design and estimation of product shelf life". October, 2011 - Dr. Hemant Joshi was also a presenter in the same session. The title of his presentation was - "Implementation of QbD paradigm in sterile dosage form packaging - some practical considerations". 11/9/11 - Dr. Joshi uploaded a presention titled - Incorporation of physico-chemical identifiers into solid dosage forms for anti-counterfeiting on authorstream. 12/15/11 - Dr. Hemant Joshi conducted an analytical audit of a pharmaceutical company. 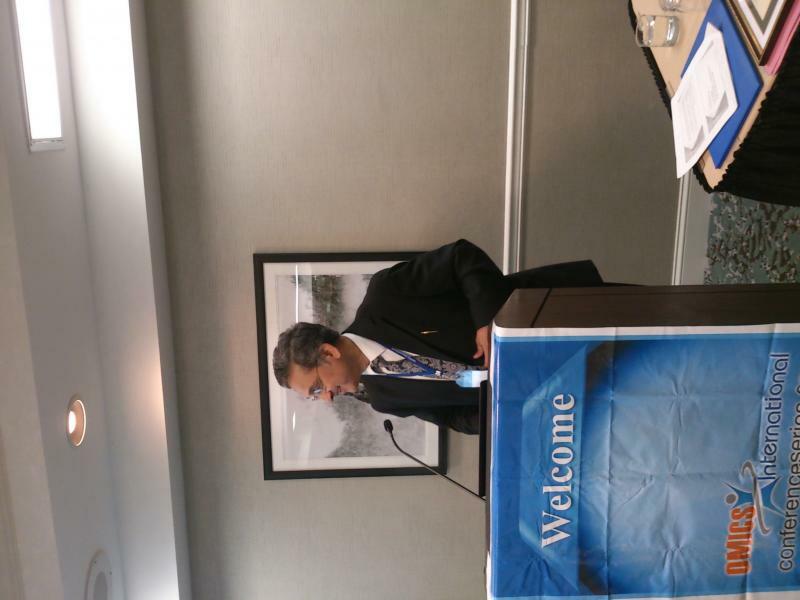 2/1/12 and 2/2/12 - Dr. Hemant Joshi attended Hansonwade conference on parenteral packaging strategies for drug developers. He was on the panel discussion for "Due diligence on choosing a supplier and partnership consideration" and presented - Review of Quality by Design (QbD) and its Applications to sterile dosage packaging". 3/13/12 - Dr. Hemant Joshi attended DCAT in NY city and had meetings with many companies. He can now made arrangements to supply several APIs including testosterone cypionate, testosterone enanthate and testosterone propionate. 7/19/12 - Dr. hemant joshi started working on a new project to develop an emulsion injectable formulation. A ternary phase diagram will be developed. 8/22/12 - DR. Joshi's article titled, "Quality by Design (QBD) of Sterile Dosage Form Packaging" wa s pubished by American Pharmaceutical review(webbased). 9/7/12 - Just completed a project of making a microemulsion. It was very complicated because we had to defy the gravity of the emulsion phase too. Carbon nanotubes in the microfluidizer are nasty. They are hard to clean. 9/11/12 and 9/12/12 - Dr. Joshi attended a course on emulsion technology offered by Croda, inc.
9/20/12 - Dr. Joshi attended A reception by University of Kansas, New Jersey-area alumni. It was represented by Dr. Ken Audus, Dean of School of Pharmacy. 10/14/12 - On the auspicious day of diwali, Dr. joshi purchased the first set of lab instrument from the GoIndustry Dovebid auction. It included glassware, balance, refrigerators, hotplate etc. 12/15/12 - sIGNED A RENTAL AGREEMENT FOR MY OWN LAB. 1/1/13 - Happy New year! today is the first day in my own lab. I will have to move many instruments I have purchased recently in my lab. 1/10/13 - Today is a happy day. We received a letter from USPTO to indicate the allowance of my moss control patent. 2/25/13 - Going to Europe on a business trip for four days. 3/10/13 - Today is March 10th, 2013. March 10th is a special day for me for two reasons - the second reason is, today I started actual work in my own company - writing in my own lab notebook!!! 9/25/13 - in the process of launching mouthwash/gargling tablets and a chewable tablet for mouth ailments. Discussions with Rathlab, Mumbai, India during the India trip. 10/21/13 - THe first employee of Tara, Mr. Apurva Modak, started his work today. We are very happy with his arrival. 11/12/13 - Received the Federal DEA license for R&D and analytical activities For schedules III, Iv and IV. I already have a State license for both. 12/31/13 - Completing 1st year at 46C deforest Avenue, East Hanover, NJ 07936!! 2/16/14 - Hired harshada Sant as a Research Scientist. 5/20/14, A new patent was issued today to Tara Innovations (US patent # 8,728,521). Title -"Physically/Molecularly distributed and/or chemically bound medicaments in empty, hard capsule shells"
6/16/14 - Tara worked on a Ophthalmic product for a client for the past 3 years. Tara was involved in product develoment, scale-up, manufacturing of batches, preparation of ANDA. The ANDA was filed today. 6/19/14 - Tara worked on a liquid Oral product for a client over the past 2 years. Tara prepared PDR and QOS for the regulatory filing. The ANDA was filed today. 8/19/14 - Tara has started writing a column on patents in American pharmaceutical Review. The first column has been published. 12/17/14 - Horizon lines first column published in pharmaceutical outsourcing. 8/10/15 - Hemant Joshi presented at a workshop in global Pharma summit. The title of his presentation was, "Application of HPLC techniques to Biological products". 9/3/15 - Hired Sonal Pathak as a Research Scientist (part-time at this time). 1/5/16 - Tara received a brand new single punch tablet press. This has added a new capability to Tara. 1/6/16 - Tara received a dissoltion apparatus. 8/12/16- Dr. Amit Lad Joined Tara. 12/21/16 - It is a great pleasure to announce that one of our clients filed a New Drug Application for their product recently. Tara developed the product and we are very proud. 3/31/17 - Anvit Vasavada joined tara on 3/1/17. He is a chemical engineer. 6/22/17 - Sunny christian joined tara today. He is a pharmacy graduate with masters in drug regulatory affairs. 1/1/2018: Tara acquired additional 500 sq. ft lab space in the same building. purchased HPLC's and stability chambers. 2/6/2018: Tara was awarded a US patent # 9,884,024 today - "Physically Dispersed, Molecularly Dissolved AND/OR chemically BOund drug(s) in an empty, hard capsule shell composition.